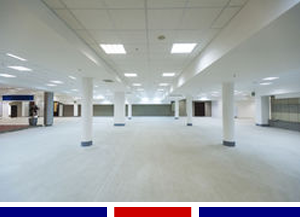 At United Walls Systems we have developed separate and distinct expert teams in various areas of the construction industry, including Drywall, Painting & Wallcovering, Acoustical Ceilings and Selective Demolition. United Walls Systems is capable to deliver highly trained and expert teams in each of our areas of expertise helping to maintain your project schedule and budget. We are capable of providing you with quality teams throughout New England and most parts of New York State. Call United Walls Services, we can help you meet your goals on your next construction project. United Walls Systems is able to provide consistent high quality of work, by focusing on the basics. We focus on safety of our workers and the jobsite, we focus on quality of the work we perform and we focus our productivity of the work we perform. When we focus on Safety, Quality and Productivity we exceed our client’s expectations! At United Walls Systems we are known for quality drywall services including, light gauge steel framing, gypsum wall board and drywall finishing. In recent years we have grown to add blue board gypsum wallboard and thin coat plastering systems. At United Walls Systems our experience runs the gambit from small renovations to large scale construction projects. We maintain teams that are experts in the different sectors of work, allowing us to meet your project needs, with the experience and quality your project demands. At United Walls Systems, we have experience in retail, hospitality, residential and commercial sectors of the industry. We understand the unique demands of different sectors of the industry, allowing us to help contribute to a successful project for you and your clients! At United Walls Systems we specializing in making your project surpass everyone’s expectations. We believe most everyone strives to do their best each and every day. In the real world, regardless of how hard one works to meet the demands of a project, more often than not the quality of their work is judged not only on their expertise and efforts but that of the finish contractors that follow up behind them. United Walls Systems painting team takes pride in making a project shine, we understand that it is our responsibility to make everyone’s work surpass expectations. As a proactive team player we work with other finish teams to coordinate installation of all the finishes, creating the best opportunity for the project to shine! 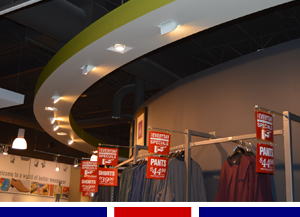 Even though our name implies that we only install walls, we provide much more than walls, one of the services offered by United Walls Systems includes acoustic ceiling systems. Initially developed to provide a requested service to our drywall clients. The Acoustic Ceiling operations has grown into a separate operating team. 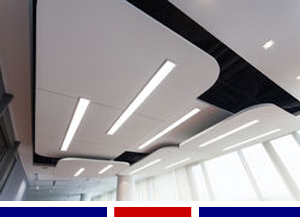 As part of the finishes team on your project United Walls Systems stands ready to provide quality acoustic ceiling systems. When you select United Walls Systems to provide your acoustic ceiling system, you will be teaming with an organization that is client satisfaction focused is all aspects of our work. 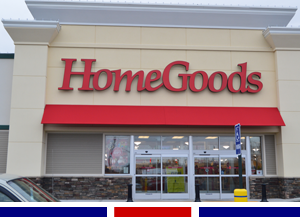 Some Companies say that their name says it all, in our case our name does not say it all. 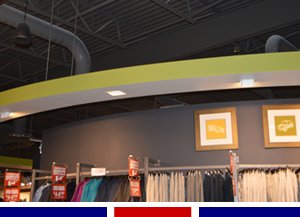 At United Walls Systems we provide much more than just wall and ceiling construction. In response to our customers growing needs, we have developed a dedicated selective demolition crew. With the creation of our demolition team, we have been able to create specialized crews that understand the sensitivity of working within an occupied space, allowing for uninterrupted operations of the property with minimal disruptions to their daily activities. United Walls Systems is uniquely qualified to help you with the project that “no one wants”. Everyone lands a project from time to time that due to the complexity or existing conditions, all of your regular resources pass on the project. United Walls Systems advantage over most contractors is our large diversified and highly experienced work force. United Walls Systems is able to cobble together a customized crew that can successfully meet the challenges of these one of a kind “odd jobs”. Regardless of the size, complexity or condition of the project, you need to have a contractor that will provide you with the highest level of safety, quality and productivity that you demand on all of your other projects. You get that level of attention with United Walls Systems every day on every job. UWS Construction Group Glass and Glazing operations provides dedicated and experienced staff to meet all of your glass and glazing needs. Our dedicated Carpenters and Glazers have decades of experience in working in the glass and glazing industry. We specialize in historic wood window repair and replication of historic window and door parts. 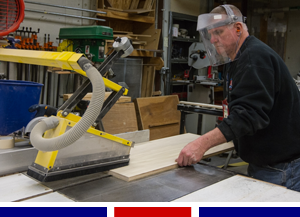 With our network of suppliers, we are able to fabricate replacement window parts from reclaimed wood salvaged from older buildings that have been renovated or torn down. In many cases we are able to utilize recycled “old growth” wood providing a much more stable window unit all the while providing an authentic window system with period accurate materials and parts. 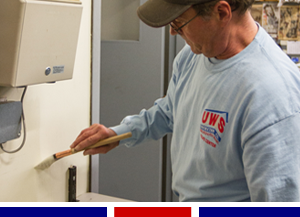 If the window system requires minor epoxy repair, Dutchman repairs or part replacement, UWS provides the experience and expertise to meet the demands of window restoration and repair. When an authentic wood window replication is required, we have the capacity to replicate the window to meet the same window profiles and details as the original system. In many cases restoration work also means making the historic window energy efficient. Depending on the project requirements UWS carpenters and glazers can custom fabricate energy panels or modify the existing sash to provide the required energy saving upgrades to historic windows. At UWS Construction Group we specialize in historic and wood windows, we are also able to meet all of you glass and glazing needs including modern aluminum windows, store fronts and door systems. At UWS we maintain a cooperative relationship with suppliers, manufactures and installers of most window and door systems, allowing UWS to meet all of you glass and glazing needs at competitive prices. UWS Construction Group provides engineered steel buildings that are light-years beyond what most consider to be an engineered steel building. There are no limitations of what you can accomplish when using an engineered structure from UWS Construction Group in your next building project. Today’s buildings are flexible, in design and in materials, With UWS dedicated staff we are able to provide you with the correct building that will meet your needs and your budget. Our experienced staff of project managers, supervisors and workers have years of experience as a team and in exceeding clients expectations. Planning a new building or addition? Contact UWS today and let us become part of your team. We are able to assist you with the entire project from initial concept and design to complete construction services. Sometimes clients of engineered steel buildings, are contractors themselves and look to UWS to provide the engineered building as part of the overall team on site. 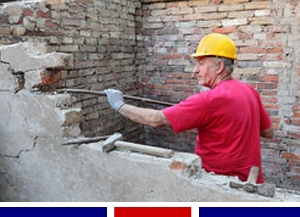 Regardless of the services you require, UWS Construction Group is here to provide the assistance you need. Being an authorized Star Building Systems Builder, UWS Construction Group brings the expertise and experience of one of the largest and most prestigious and respected metal building systems organization in the world! With Star Building Systems behind us, UWS provides a superior building at competitive costs. We Proudly Work Together With Star Building Systems! Click The Links Below To View Brochures.